After many sleepless nights, kilos of spent flour and experimental tarts along the way, Ann launched this two-fold eponymous business in 2010. 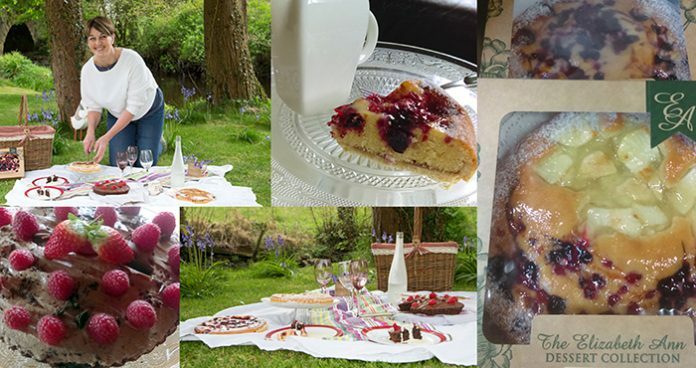 The Elizabeth Ann Dessert Collection includes high-quality handmade tarts and cakes, using locally sourced fresh Irish ingredients, free-range eggs, real butter and no preservatives. 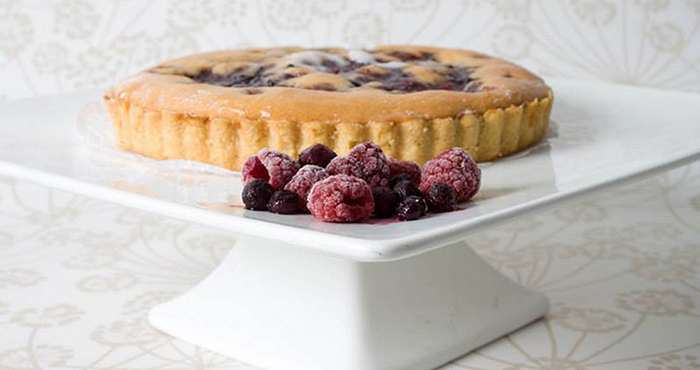 Ann bagged two Gold Awards at the 2012 Great Taste Awards for her Berry and Almond Tart — a mix of fresh raspberries, blueberries, currants and strawberries on a crisp almond-flavoured base. This was quickly followed by another two Golds at the 2013 Awards for her Mmmm Tart, a moreish combination of cinnamon-spiced apples and berries. The awards haven’t stopped yet; the Pear and Pecan Tart brought home another two Golds in 2017, while the decadent Chocolate and Raspberry Tart was shortlisted in the 2017 Irish Quality Food Awards. What are your earliest memories of baking? One of the earliest memories I have is of helping my grandmother Elizabeth baking bread and apple tarts in her tiny kitchen in Sligo, while my mum made the Christmas cakes. I always had a love of baking and, at the age of nine, I remember my father bought me my first Kenwood Chef, nearly 50 years ago! I used to bake coffee cakes, sponges and Swiss rolls and sell them in my fathers’ shop. At the time, I had my own little stand in the shop where I would sell them to the customers who were great to take pity on me and buy them! How did you develop a passion for baking? That glorious smell coming from the oven and the satisfaction of seeing it been devoured (I have five big brothers!) fed my passion for baking. I used to eat cookery books and relished the challenge of making something that tasted as good as it looked in the book. I also discovered from my cousin Olga that generations back there were bakers in our family, so it must be in the genes. Many years later, I ran cookery classes from home and catered for people in their homes for special functions. How did the idea for Elizabeth Ann Dessert Collection come about? It was 1989 when I decided that if I ever started a business it would be called “The Elizabeth Ann Dessert Collection”; at that time I was also writing my cookery book titled “Whats for Dinner”. Years later, in 2009, I began to make almond tarts in my little Magimix for a local shop; they were the ones I would have baked for people when I catered for them in their homes for parties. They were always so popular and a regular on the menus. The response was instant, and so a local Sligo business was born. The eggs I use are free range and we would be cracking up to 450 eggs a week in the early years! What has been the response to the collection? The response has been fantastic; I’ve received some lovely emails from customers. They love the products and some even pass them off as their own baked tarts, which is lovely to hear and gives me a lift! In 2017, I moved production to Dublin so as to meet the demand. 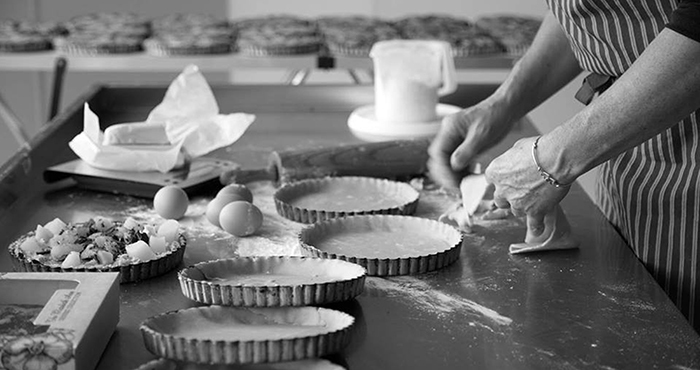 Baking tarts can be tricky, what are your tips for perfecting them? Use real butter (I prefer salted butter) chilled from fridge. Keep the pastry cool and chilled when working with it. Have the oven hot and use quality ingredients — don’t skimp here! Before serving, warm the tart in the oven if you have the time, but the microwave will do in a pinch. What were the early years of the business like? I knew very little about running or, even, starting a business. One of the most memorable moments was when someone I didn’t know very well stopped me as I was walking by his shop and asked me how I was doing. I told him about baking the tarts and he brought me into his commercial kitchen and said, “there you have mixers, a cooker, fridges…use them and I don’t want any rent. You have a great product, now here is your chance to get them out there.” I was shocked when I first saw the size of the mixer, I thought I could never fill that! That act of kindness and trust got me on my feet. 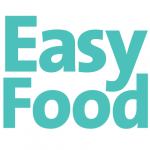 I had to learn about sourcing ingredients, packaging, organising deliveries in Sligo and then to Dublin, finding new customers, budgeting and getting paid. I was running to keep up with the demand, but I found a drive in me that just kept going and, somehow, found a way to keep moving forward. It was 24/7 and exhausting but, at the same time, satisfying and exciting. What have been some of the most rewarding elements of starting the company? One of the most rewarding elements has been discovering a strong sense of business in myself, which I did not know I had, and being able to grow and develop the business. I love meeting customers, calling into stores and seeing the products being put into a basket. I love popping over to the customer asking why they picked it over another product and thanking them. Also, winning Gold at the Great Taste Awards over the last number of years gives me great satisfaction, as it is a nod to the quality of the product, which is extremely important to me. My aim is to get Elizabeth Ann products nationwide while maintaining the quality, and that journey is going to be an exciting one! As the saying goes “you’re never too old to let out all the length of the rein and follow your dream.” Try and if it works, great, and if not, at least you tried! 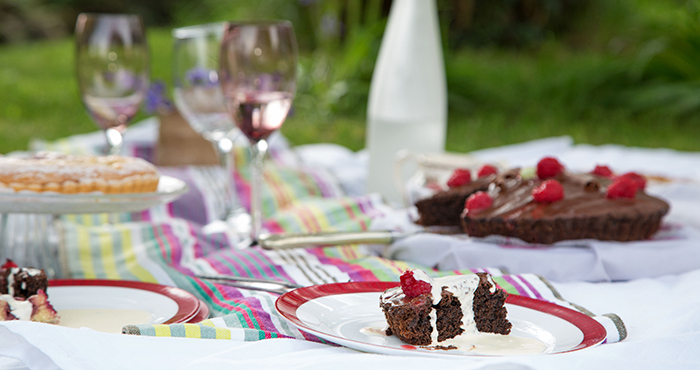 The Elizabeth Ann Dessert Collection is stocked in select SuperValu and other grocery stores nationwide. For more information or to find a stockist, visit www.elizabethann.ie.